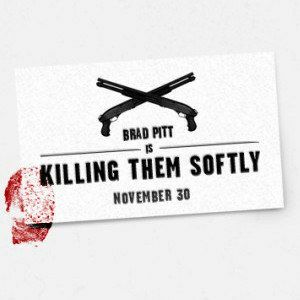 Andrew Dominik directs Brad Pitt in the crime thriller Killing Them Softly, based on the 1974 novel by George V. Higgins. Pitt stars as Jackie Cogan, a low-rent hitman hired to oversee the investigation of a mob-run poker game that gets robbed. Mondo has commissioned three new posters for the film, which you can check out here.